It's not Easter yet, but one of my kids is already on school break. The other one's break is the week after Easter. Seems so late! How about your kids? 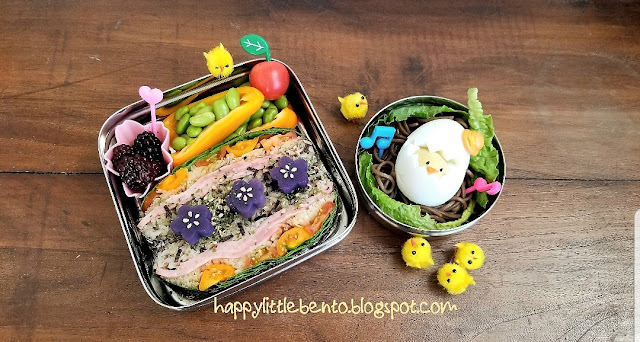 Inside our Ecolunchbox Solo Cube: ham-spinach-tomato-enoki-furikake rice onigirazu, Okinawan sweet potato cherry blossoms, sweet baby peppers stuffed with edamame, tomato and berries. 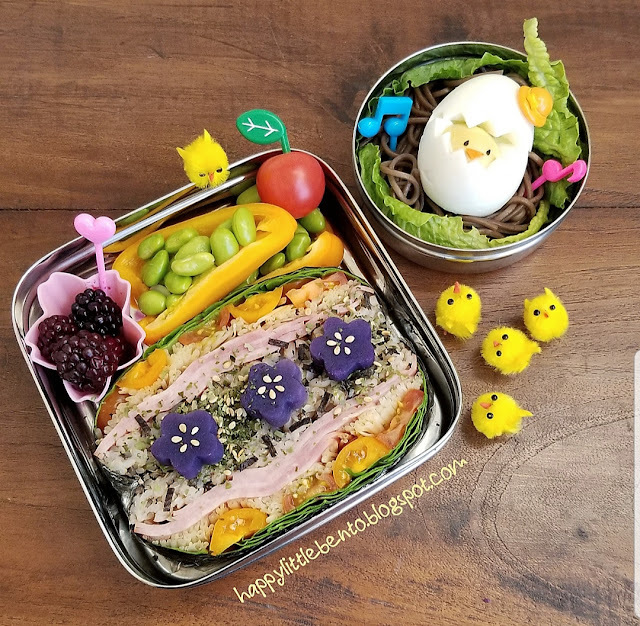 Inside the Eco Dipper: soba, lettuce, hard boiled egg.